A history of pranksters, hackers, and mischief-makers. Much of McLeod’s book centers on American history. 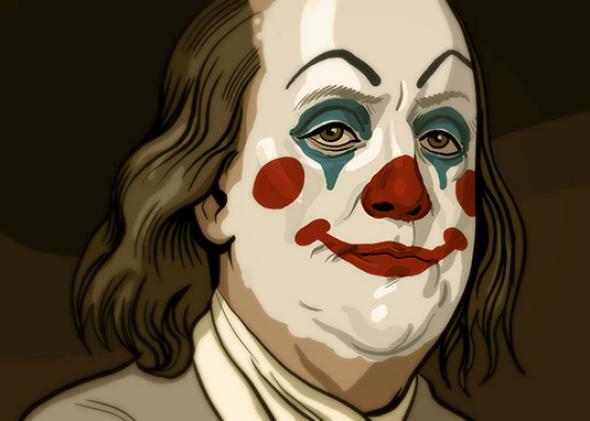 Benjamin Franklin, to give one example, was a notorious prankster—and a bit of a troll. In the 1730s, Franklin used his Poor Richard’s Almanack as a platform to heckle an astrologer named Titan Leeds. Franklin detested Leeds’ pseudoscientific claptrap, and Leeds was a business competitor, which only compounded Franklin’s ire. Franklin repeatedly predicted Leeds’ death in the Almanack, lampooning astrology and taking aim at Leeds in increasingly specific ways. Leeds would perish on Oct. 17, 1733, at 3:29 p.m., according to one of Franklin’s predictions. In further editions of the Almanack, though Leeds was still among the living, Franklin hopefully initiated a discussion with his ghost. After Leeds finally died in 1738, Franklin continued the onslaught, which went on for several years beyond the grave. “The 1740 edition of Poor Richard’s Almanack described a late-night visit from the Ghost of Titan Leeds, who entered Richard Saunders’s brain via his left nostril,” writes McLeod. 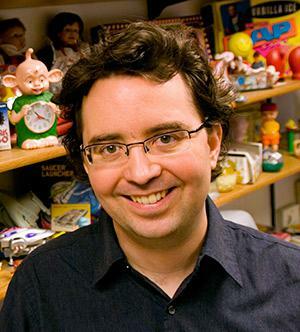 McLeod, a professor at the University of Iowa, is best known for his numerous books on the intersection of copyright and culture. (I interviewed McLeod for an article in Slate on De La Soul.) As a scholar, McLeod is smart and incisive, but better yet, he’s funny—a relatively rare trait among academics. In all of his books, McLeod shows a soft spot for artists, musicians, underdogs, and weirdos with a healthy disrespect for authority—the ones who, in some small way, attempt to stick it to the Man. I read Pranksters with particular interest, being a veteran of various pranks myself. I went to college at MIT about 15 years ago, where I befriended a ragtag group of hackers and rabble-rousers. My fellow students included people who hacked computers for fun, explored the underground network of tunnels under campus, and architected some of the first hoaxes on the World Wide Web. (Many of these folks went on to lead successful companies, become professors, and shape the world in various meaningful ways.) It’s safe to say that I wouldn’t be a journalist today if I hadn’t had these experiences as a teenager. Designing and implementing an elaborate prank—or a “hack,” to use the MIT parlance—was a unique education you just couldn’t get in a lecture hall. MIT makes a few cameo appearances in McLeod’s book, but Pranksters covers so much ground in 300-odd pages that a lot of stuff is understandably left out or merits just a few pages of discussion. And pranks outside of Western culture don’t get much of a mention. A world history of pranksters still needs to be written, taking in everything from pranks in modern India to communist Russia to ancient Egypt. McLeod is good at finding common threads that unite all the multifarious pranks together and making sense of what may seem like a tangled mess of characters and events. McLeod celebrates good pranks, eschewing the particularly mean-spirited or ham-fisted ones, like fraternity hazing ceremonies. “Although ‘good’ pranks sometimes do ridicule their targets, they serve a higher purpose by sowing skepticism and speaking truth to power (or at least cracking jokes that expose fissures in power’s façade),” McLeod writes. “A prank a day keeps The Man away, I always say.” Pranksters enter into a sort of feedback loop with the media and can shape the media, too. “People don’t just make mischief with media; their mischief can also remake media in the process,” McLeod writes. But some pranks have a dark side, too, wandering into the shadowy territory of deception, con artistry, and conspiracy theories. McLeod’s book really gains steam when it hits the 20th century; it’s clearly what he’s most passionate about. The heady stew of the 1960s—including the Merry Pranksters, and Abbie Hoffman and the Yippies—serves as an object lesson on pranks and how they could interface with society, culture, politics, and activism. McLeod’s vivid description of the Merry Pranksters’ kooky school bus, painted in wild colors, makes you pine for the freewheeling San Francisco of yore, before the Google bus took over. For McLeod, Pranksters is also, in a small part, autobiographical. “I have a confession,” admits McLeod near the end of the book, after a dizzying chapter taking in Yoko Ono, Korla Pandit, the Dead Kennedys, phone phreaks, the Church of the SubGenius, and the Justified Ancients of Mu Mu. “The subject matter covered in the previous chapter is very close to my heart, for I myself am a former computer hobbyist, Dungeons & Dragons nerd, zinester, Church of the SubGenius member, indie music fan, and mainliner of pop culture. It’s in many ways a stealth autobiography, because all of those things fundamentally shaped who I am today.” The autobiographical chapter lends the book a personal touch, making it feel less like a distant academic survey and more like a passionate, on-the-ground analysis. Pranksters: Making Mischief in the Modern World by Kembrew McLeod. NYU Press.